SCORE: 1-0, min. 18, Diaz. 2-0, min. 66, Diaz. 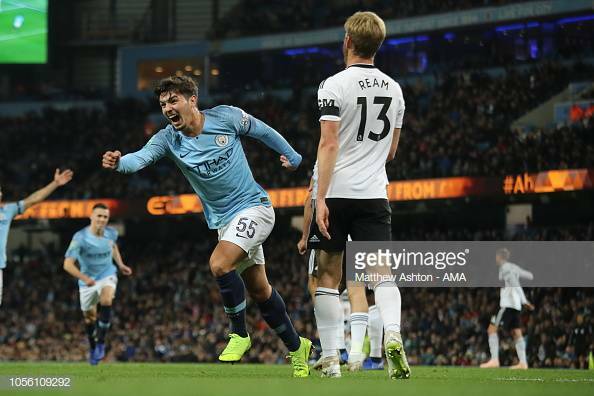 Manchester City defeated Fulham 2-0 on Thursday night at the Etihad in the Carabao Cup courtesy of a Brahim Diaz brace. The defending Carabao Cup Champions dominated play against a struggling Fulham side who have not won since September. Brahim Diaz scored his first ever first team goal with Manchester City in the 18th minute. Vincent Kompany headed back a Fabian Delph cross, and the young City winger's shot deflected off Fulham's Aleksander Mitrovic and into the goal. Diaz would get a second goal in the second half, securing his first career brace in the 66th minute. The 19-year-old Spaniard blasted home Gabriel Jesus' shot, which came off the post, to give City a comfortable two-goal second half advantage. City manager Pep Guardiola rotated the squad that faced Tottenham Hotspur on Monday at Wembley, with regulars Sergio Aguero, Bernardo Silva, David Silva, Kyle Walker, Raheem Sterling, Riyad Mahrez and goalkeeper Ederson all on the bench. The squad rotation allowed Guardiola to play some promising youngsters against a well equipped Fulham side. While Diaz was the star of Thursday's match, Phil Foden showed great promise on the pitch. Foden, along with Jesus, were given much needed match minutes. Another welcome site for City supporters was the inclusion of Kevin De Bruyne in the starting eleven. The Belgium international, who continues to rehabilitate his play coming back from injury, had come off the bench in City's victory over Tottenham. Unfortunately for City, De Bruyne seemed to have picked up a knock in the second half. De Bruyne's injury looked to have been his left knee, the opposite one from his last major injury. 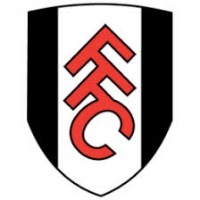 The defending champions dominated the match, creating multiple chances in the final third as well as limiting a potential dangerous Fulham counter attack. The victory over Fulham in the Carabao Cup begins a four game run at home for Manchester City. The Citizens will host Southampton on Sunday, Shakhtar Dontesk on Wednesday in Champions League play and Manchester United next weekend in the first Manchester Derby of the Premier League season. City's four match stretch at home will be a welcome relief to the club, who in recent weeks have traveled to Ukraine as well as having to play on a horrendous NFL ridden pitch at Wembley against Spurs. Manchester City will now face either Leicester City or Southampton away from home in the next round of the Carabao Cup.